Cilantro is one of those flavors people either love or hate. I happen to love it and I can’t cook without it. 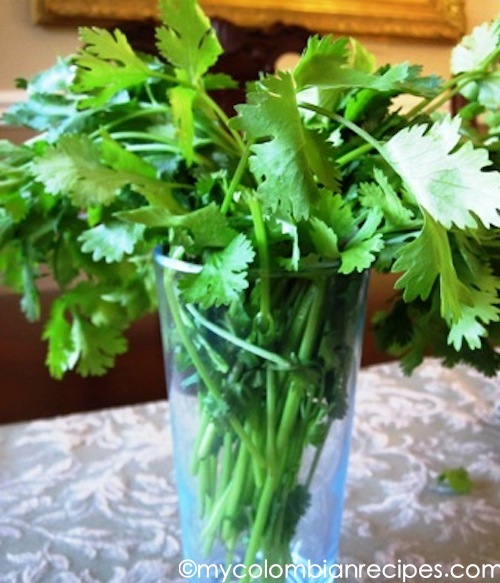 I hope you like cilantro, so you can enjoy today’s delicious recipe. 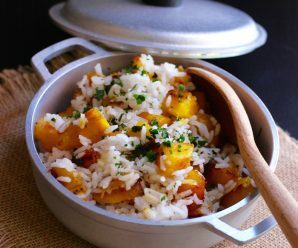 My readers have been requesting more recipes for side dishes, so today I am sharing a simple rice recipe that has huge flavor and a beautiful color. 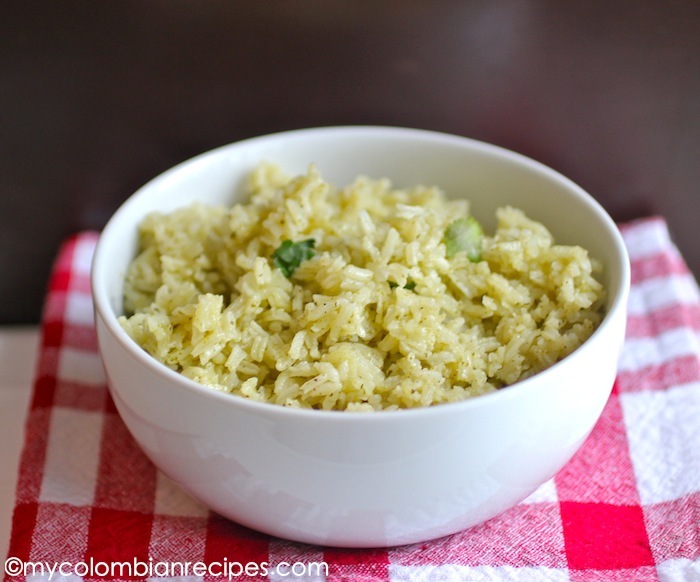 This Arroz con Cilantro is very convenient for those last-minute meals and goes well with fish, poultry, beef, pork or even beans. 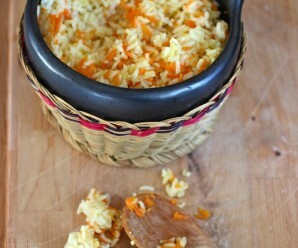 I really loved the flavors of this rice! Place 1/2 cup of the chicken broth with the cilantro and cumin in the blender. Blend until well combined and set aside. Heat the butter over medium temperature in a medium pot. Add the onions and garlic, and cook until the onions are soft for about 2 minutes. Add the rice and stir it well, add the cilantro mixture and the rest of the broth and bring it to a boil. Let the liquid reduce until it barely covers the rice, cover with a lid, reduce the temperature to low, and cook for about 20-25 min. I happen to love it too!! 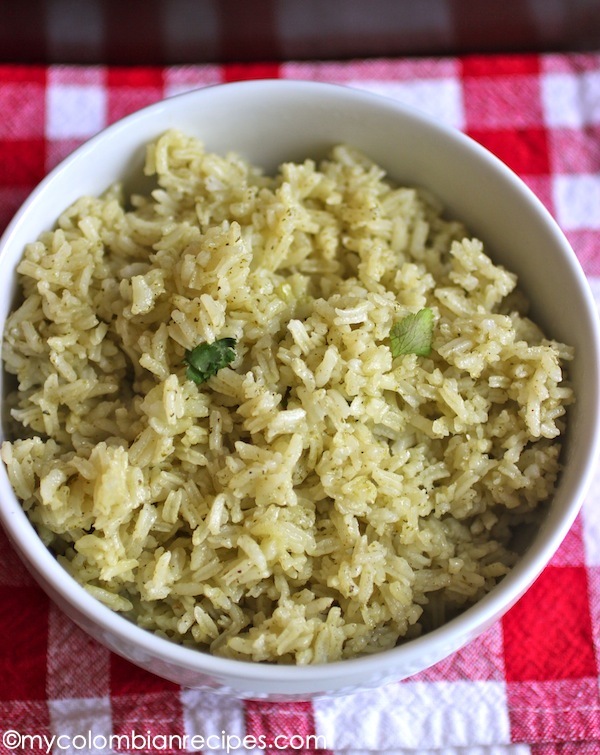 I love cilantro in rice – It really freshens it up and is a lovely side dish for so many different types of main meal. I love it with curries. 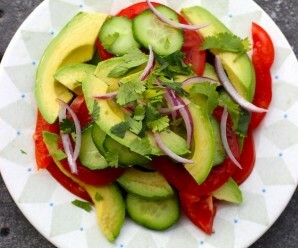 Love cilantro! The rice must be very tasty. i love cilantro but i’ve never been a fan of rice. in fact, i’d probably avoid it completely except when it’s served like this! I LOVE LOVE cilantro!! I put cilantro in my steaming hot chicken soup with some lime juice, it’s invigorating! 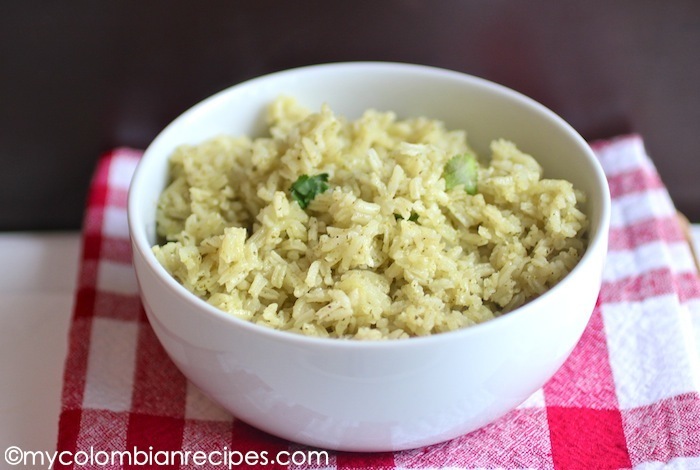 I’ve made this cilantro rice similar to your recipe but I add 1 juiced lime and zest of lime into it and add some more cilantro into rice after it’s been cooked. Yummm!! Hola Erica! 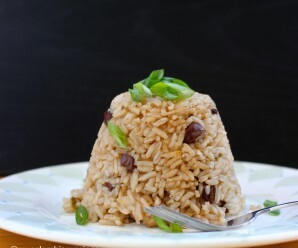 I just finished making the cilantro rice and it is awesome! I used it as a side for my sopa de pollo y fideo, which also came out great. Thank you! Erica, es todo un exito este arroz. Super delicioso. Muchas gracias por compartir tu receta.